In the present paper, we analyze the effect of international collaboration on regional markets. We compare two Norwegian counties with very different profiles in terms of how international or regional cooperation affects the synergy generated among the geographical, technological, and organizational distributions of firms. This synergy is much larger in the rural region with international industry than in the region with a strong knowledge infrastructure. 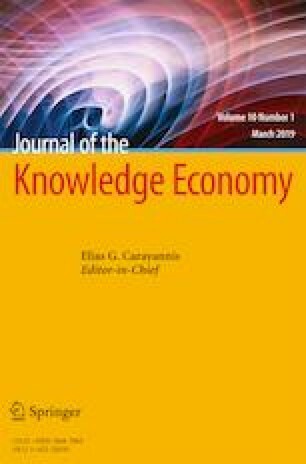 International firms can take the role of knowledge brokers in lagging regions with weak knowledge institutions. The methodological contribution of this study is that we translate the synergy (abstractly measured in bits of information) into more familiar economic terms, such as turnover for the special case of domestic-foreign collaborations. The analysis is based on Norwegian data, as Norway is a small country with an open and export-oriented economy. Data for Norway is publicly available in great detail. The Triple-Helix synergy caused by firms with foreign ownership is a new indicator of the international contribution to the efficiency of the innovation system in a region. The indicator can also be interpreted as a measure of the attractiveness of regional industries to international corporations, which entails the perspective of international technology transfer and the access of regional industry products to global markets.